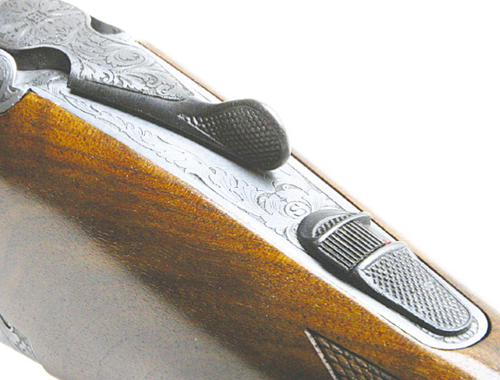 Gun reviews: Rizzini RB EM shotgun. 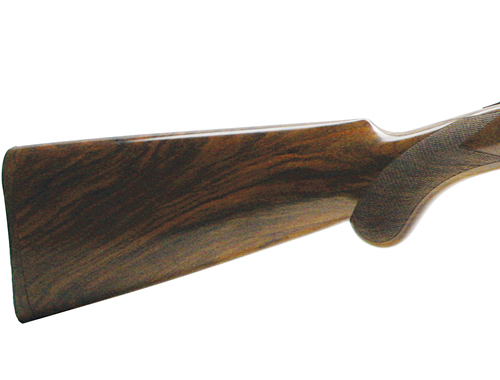 Rizzini has a reputation for making very attractive and elegant guns and this latest offering – the round-body Rizzini RB EM shotgun – continues the tradition. 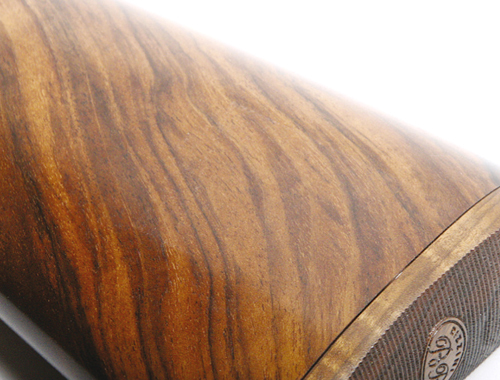 Mechanically it’s much the same as other O/U models in the Rizzini range but what makes it really stand out from the rest is its seriously distinctive and bold engraving. As you can see from the photographs the striking pattern forms a full covering on the action and the style reminds me very much of the bold acanthus scroll often seen on Holland and Holland Royals. 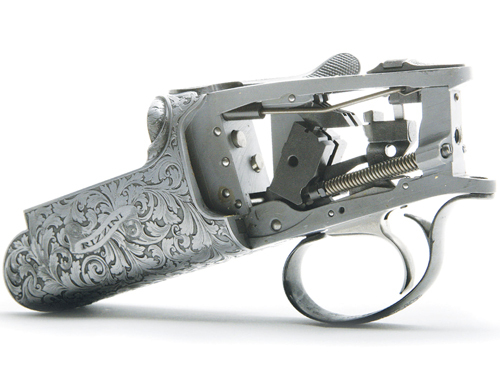 The furniture; fore-end iron, top lever and trigger guard have all been engraved to complement the action where the maker’s name appears in a centre ribbon. The gun sent for review sports a silver coin finish but a buyer can opt for colour hardening if they prefer. My feeling is that the coin finish actually shows the engraving off to best effect but I don’t mind admitting that colour hardening starts to show its appeal better once it has worn off a little. Internally the gun carries a trigger plate mechanism where the hammers pivot at the plate’s bottom front and are powered by captive mainsprings that rebound slightly to prevent the strikers dragging on a spent cartridge case when the gun is opened after firing. As is usual in a trigger design of this kind the sears are suspended above the hammers in the strap under the top lever. Recoil from the first shot throws the selector block backward to disconnect it from the first sear and allow the block to drop down behind the hammer where it then springs forward to pick up the second sear allowing another shot to be fired. Both strikers are spring loaded and the bottom of each hammer is connected to a cocking bar that runs along the floor of the action frame. When fired this goes forward with the hammer and in the process connects to the ejector trip dovetailed into the barrel’s mono-block of the barrel. In turn the trip is pushed upward to engage with a notch in the end of the extractor. The trip then dis-engages from the spring-loaded extractor at the exact moment the gun is fully opened, ejecting the fired case as it does so. Each side of the firing mechanism is independent, so only a fired case is ejected. Opening the gun not only activates the ejection system but it allows a cam in the bottom of the fore-end iron to bear on the end of the cocking bar, pushing the hammer back and re-cocking the gun. In terms of woodwork the gun has been stocked with a decent bit of walnut and treated to an attractive gloss oil finish. Both stock and fore-end have been treated to a classic shape in the form of a well-proportioned rounded pistol grip that flows nicely into the body of the stock. The fore-end has a rounded nose in the English style and the push rod release catch is both practical and gives the gun a quality look. Overall weight is just 7.1/4lb and the gun handles quickly and points superbly. 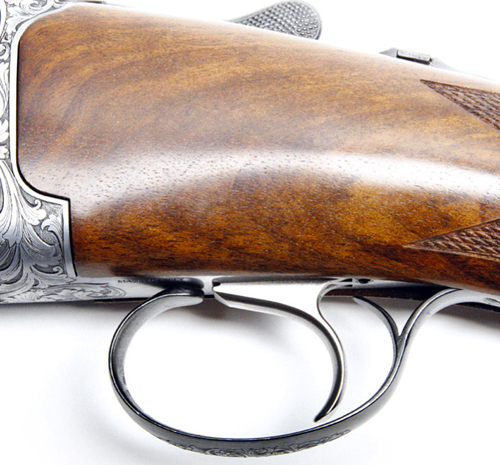 If you want a very well made, good-looking gun that’s a little different from much of the rest then this Rizzini is definitely worth consideration. 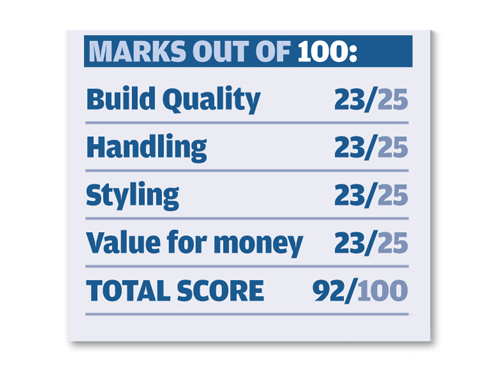 It’s a super little thing that gives the competition a real run for their money, including a few costing somewhat more. The RB EM has a quality look and feel to it. 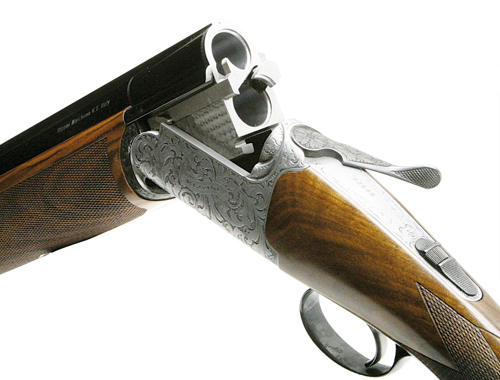 £3895 (for the 12, 16 and 20 bore. 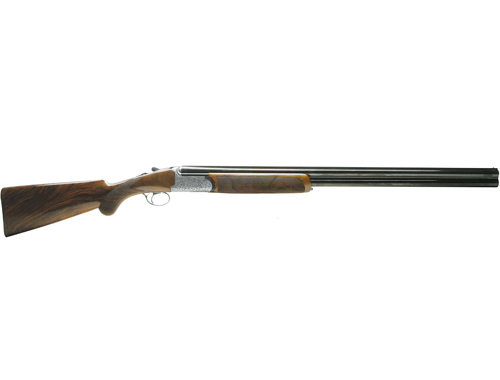 £4,195 for the 28 bore built to a specially scaled action. £268 supplement for 32in barrels.